Purpose: making an analytical comparison of the knowledge maps of Erkowit conferences with the four pillars of the knowledge economy. Design/Methodology/Approach: A Dewey decimal classification technique was used to map Erkowit papers. After this classification the paper explored the concept of development through different time series. Finally the paper compared the occurrences of Erkowit topics as percentages in the four pillars of the knowledge economy. Findings: From mapping Erkowit conferences, it was found that there were 15 fields and 37 subfields, and 6 sub-subfields and 326 papers. Mapping the four pillars of the knowledge economy framework onto a topic map of Erkowit conferences, it appeared that nine topics from a total of 15 topics followed three of the four pillars of the knowledge economy. 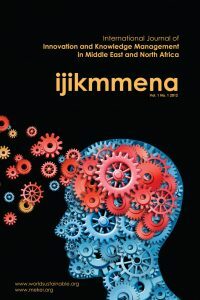 Originality/value: The paper introduces Knowledge Mapping, Topic-based analysis, and develops a framework analysis of Erkowit conferences to reveal the importance of the conferences, which were an early attempt to regularly address Sudan’s development problems.